Aerosmith frontman Steven Tyler has been hospitalized in Paraguay after taking a tumble in his hotel bathroom. The singer was taken to the emergency room in Asuncion today after slipping in the shower and cutting his face. Tyler, 63, also knocked out two of his teeth and received dental implants. Tyler spent three hours in the hospital before being released and returned to his hotel to recover. The Aerosmith show scheduled for today had to be postponed until Wednesday. Fans of Tyler’s will probably worry about him because he had to do time in rehab in late 2009 for being addicted to pain pills. 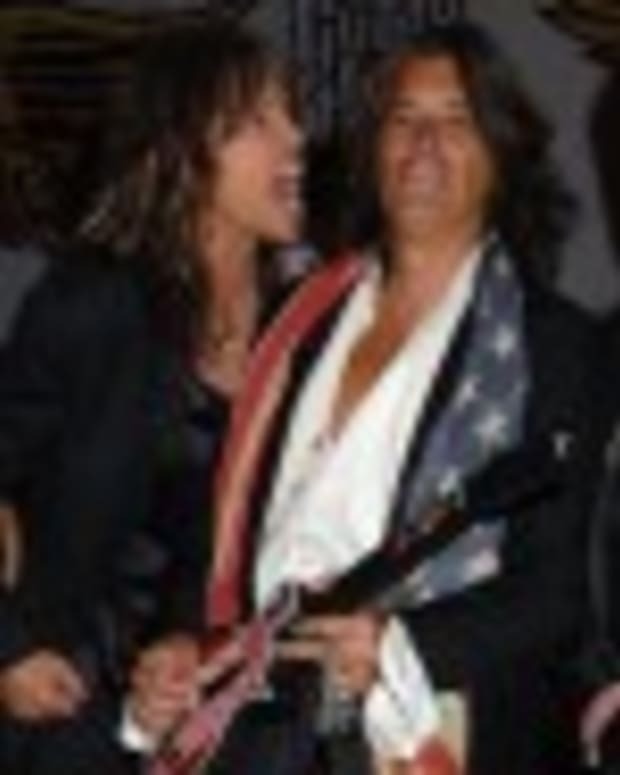 Aerosmith's Steven Tyler Falls Offstage: Did Joe Perry Push Him? Aerosmith's Steven Tyler: "I Blew $20 Million on Drugs"